Born in Boston, Massachusetts on 21 January 1940, John J. McGinty III was raised in Louisville, Kentucky where he enlisted in the U. S. Marine Corps Reserve in February 1957. Following his initial training at the Marine Corps Recruit Depot at Parris Island, South Carolina, McGinty received advanced infantry training at the 1st Infantry Training Regiment at Camp Lejeune, North Carolina and subsequently served with the 7th Infantry Company in Louisville until March 1958. PFC McGinty reenlisted into the regular Marine Corps in March 1958 and was ordered to Camp Pendleton, California where he attended the NCO Leadership Course and was subsequently ordered to duty at Marine Barracks, Kodiak, Alaska until May 1959. While stationed in Alaska, he was promoted to corporal. In late 1959, then Corporal McGinty transferred to the 1st Marine Division, where he served as a squad leader in Company I, 3rd Battalion, 5th Marines. 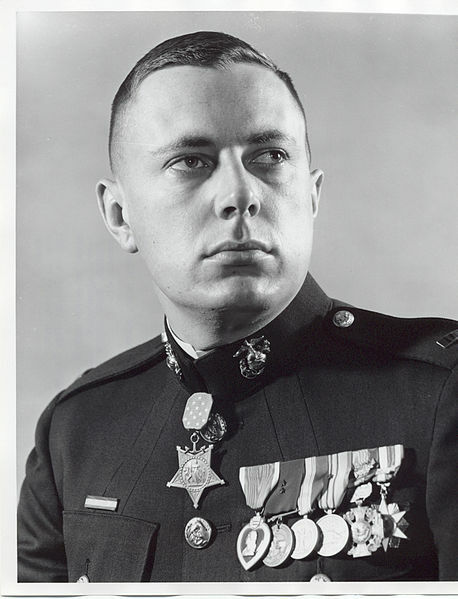 McGinty was subsequently promoted to sergeant and ordered to the Marine Corps Recruit Depot, Parris Island, South Carolina where he served as a drill instructor until 1964. Between 1964 and 1965, he served as a brig warden at Marine Barracks, Norfolk, Virginia. In 1965, Sergeant McGinty was ordered to the West Coast for pre-deployment training and assignment to the Far East with the 3rd Marine division. Arriving in Vietnam in April 1966, McGinty was further assigned to Company K, 3rd Battalion, 4th Marines where he served first as a platoon sergeant, and then later as a platoon commander. Following this action, McGinty was subsequently assigned to the 3rd Battalion headquarters where he served as the Operations NCO, and then later he served as the Regimental Intelligence Officer, 4th Marine Regiment. Upon his return to the United States in 1967, Staff Sergeant McGinty served a second tour of duty at MCRD Parris Island until commissioned to Second Lieutenant on 8 August 1967. Captain John J. McGinty retired from active duty in October 1978. He passed away at his home in Beaufort, South Carolina on 17 January 2014.